You certainly would like to know how your website is performing, don’t you? After all, you can need to understand how you are getting traffic and how your viewers are responding to your website to improve it. Google analytics is the free service from Google which provides you detail information about your website traffic and the way they interact with your website. The most interesting thing will be to see live analytics which shows the number of visitors visiting different pages of the website right at the moment. Why should you use Google Analytics? Google Analytics shows you detail and powerful information about traffic and viewers interaction on your website. This data help you in various ways. Here is some major reason for which you should use Google Analytics on your website. Google Analytics shows you the geographical location of your website visitors. Besides, you can also know which device they are using, operating system, screen resolution, language and much more. You can also know at what time you receive higher traffic. Such information helps you to customize your website and make it more audience friendly. You can also make more effort to grow the traffic from the specific geographical regions. You can know which page is receiving highest views, where are visitors going after visiting your website and what is the bounce rate of your website. You may be thinking, what is bounce rate? It is actually the percentage of the audience leaving your website after visiting the first page. Such data help you to improve the user interactivity and reduce the bounce rate. You can find the time at which you receive the highest traffic on your website. You can use this information in two ways: to publish the new post at such time and to set up search engines to crawl your website only in the time when you receive the least traffic. If your website has thousands of posts, this is very crucial information which can save your website from getting over-burdened and thus become slow. Google analytics shows the source of your website traffic properly. You can know how much search engine traffic, referral traffic and direct link traffic. If you’re paying for the backlink to get traffic, you can even know the number of traffic that you’re getting from that website. You should have been using social media pages/profiles to promote your website. Google Analytics helps you to track your social media traffic as well efficiently. This helps you a lot to plan your social media marketing and even know the conversion rate of your advertisement on social media sites like facebook and twitter. Before you set up Google analytics, visit the website of Google Analytics, sign up and add your website to it if you haven’t done it yet. 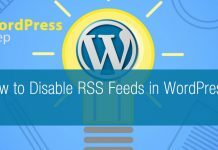 Next step has to be taken on your WordPress Dashboard. 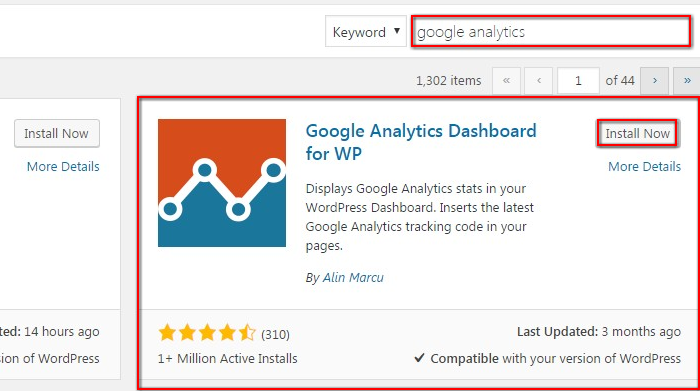 Login to WordPress and install ‘Google Analytics Dashboard for WP’ plugin. After installing Google Analytics Dashboard for WP plugin, you’ll see Google Analytics menu at the bottom of your dashboard menu. Click on the Google Analytics >> General Settings menu. Now, click on the Get Access Code link as shown below. You’ll have to authenticate Google Analytics account and then will get Access Code. Copy the access code. Paste the access code in the text box as shown below. Finally, click on the Save Access Code button. Now, your website is ready to be tracked by Google Analytics. Wait for next 24 hours to get good level of data to be shown to you by Google Analytics. 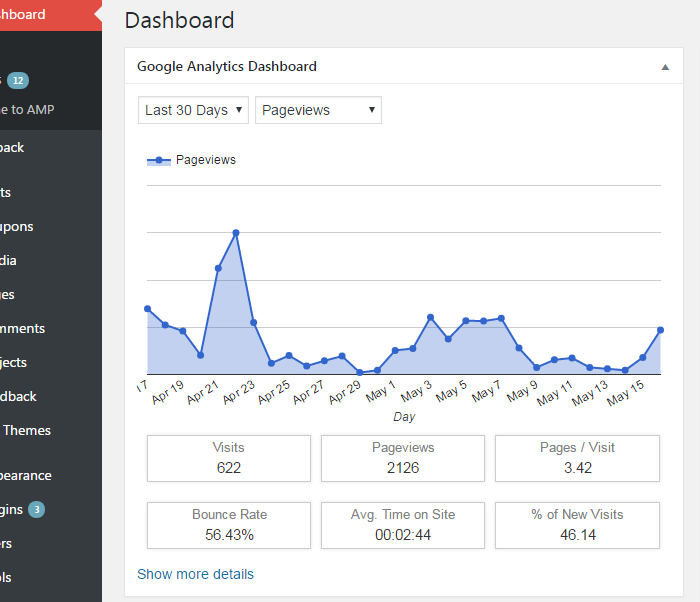 You can see the website traffic statistics right from your website’s Dashboard. If you want to see detail traffic analytics, you can always see it logging on to Google Analytics’ website. There are other traffic monitoring services as well, but Google Analytics is more reliable and powerful service. Best of all, it’s totally free of cost. Google Analytics has mobile apps as well which help you to get traffic data right from your mobile phone as well. So, I highly recommend you to set up Google Analytics on your WordPress website. If you any question regarding it, you can comment below. I’d love to help you as far as possible. And, we’ve lots more WordPress tutorials yet to be published. So, keep tuning WPAll Club. Next articleWhy Content Marketing rules today? 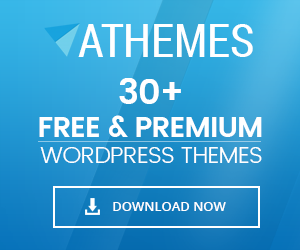 Hey Buddy!, I found this information for you: "How to setup Google analytics on your WordPress website". Here is the website link: https://wpallclub.com/setup-google-analytics-on-your-wordpress-website/. Thank you.